"The Bible — God's inspired word — is the only conclusive source of wisdom, knowledge, and understanding concerning ultimate realities.... The only way to healthy, balanced living is through the 'rightly dividing' (Greek orthotomounta) literally 'cutting straight' of God's word,"
says Jack Hayford in a Bible sidebar article about 2 Timothy 2:15, another verse that talks about the merits of God's word. Have you ever read through the Bible — all of it from cover to cover? Do it sometime. Though there are difficult patches, repetitive bits, and some things you won't understand, when you do you will get a rounder, more realistic picture of God and His plan. There are various ways to accomplish this. Set yourself a schedule to read a certain number of chapters or pages a day. Follow a reading plan. Or purchase a One Year Bible which has the entire Bible divided into days of the year (there are many kinds of One-year Bibles). The Bible can stand our digging and scrutiny. On close inspection, it is like a piece of fine art that appears ever more consistent and unified (though penned — or should we say quilled — by numerous authors). That's because it really has only one author -- the Holy Spirit. When you approach the Bible as a student, it helps to have a few aids. Start with a good study Bible in a translation you like. Such a Bible may give you historical background on books and writers. It may have end-notes explaining the text. Cross-references in the margins will send you to other places in the Bible that add background and levels of meaning to the verse(s) you're studying. It may have other features like word studies, articles on Bible themes, a small concordance, character studies, and maps. When you commit parts of the Bible to memory they become yours in a new way. Memorizing is a great way to meditate on Scripture. Having God's word in your mind and at-the-ready will help you live a life of obedience and keep you from sin. It will make you an effective witness and spiritual warrior. A thorough knowledge of God's word qualifies you to be a teacher and encourager. During times of personal turmoil and stress the words of Scripture are there to comfort and calm you. If you are interested in true truth, real reality and investing your life in things that will outlast time, don't neglect your Bible. PRAYER: Dear God, thank You for the Bible! Help me to not only read, study and memorize it, but to apply it to my life and obey it. Amen. A Bible should become as personal as well-worn sneakers. A new Christian once picked up my Bible from our coffee table. 'You write in your Bible?' she asked. At that time I used a leather-bound KJV Schofield study Bible with my name embossed in gold on the cover: I'd owned it for several years and it showed. She spent several hours that afternoon underlining my special passages in her fresh Bible. 'You're going to end up with a Bible that's more mine than yours,' I told her. She wanted it to look used, she said. And I get that. A seldom-read Bible is a sad sight. More than just another religious book, the words of Scripture penetrate the deepest recesses of the human soul. No other writing, no matter how stirring and brilliant, achieves this." — Rose Brandon in "Let It Show: Love your Bible enough to wear it out," Pentecostal Testimony, July/August 2009, p. 15. 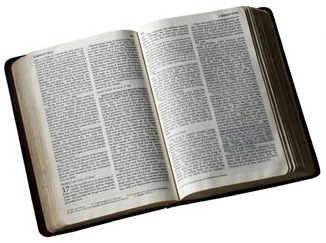 What is your favourite study Bible? What other Bible study aids do you use?